A spectre is haunting Toronto city hall – the spectre of bike lanes. “Democracy” is “dead at city hall,” says controversial Toronto Councillor Giorgio Mammoliti, an outspoken ally of Ontario Premier Doug Ford. 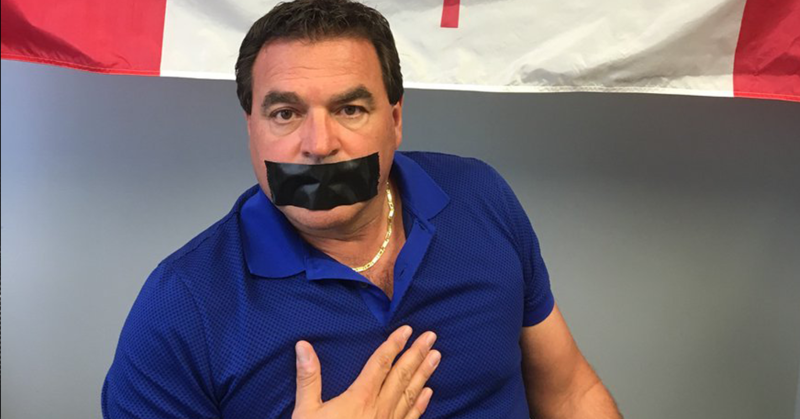 Mammoliti, who advocates banning bikes from city streets, was apparently reacting to recent calls from citizens and colleagues alike for Mayor John Tory to remove the Ward 7 councillor from the city’s public works committee. Last week, Councillor Mike Layton tweeted that Mammoliti’s poor attendance record and erratic behaviour show he’s “not interested in building safer streets,” adding that he would personally “second the motion” if Tory removes Mammoliti from the committee. However, Mammoliti’s over-the-top anti-bike rhetoric also comes in the wake of a slew of tragic accidents that have taken the lives of two cyclists and one pedestrian. While Mammoliti plays dress up on Twitter, in reality many cyclists feel unsafe on Toronto’s streets, where inadequate infrastructure and reckless driving behaviour is putting lives at risk. Not even a seperated, elevated #biketo lane can stop ’em. Unfortunately, neither the deaths nor the many shocking tales from cyclists have convinced people like Mammoliti to tone it down and listen. McMahon wants him to apologize. Mammoliti refuses. “It was a woman that was going to get killed because of her choice on how she was riding her bicycle,” he says. The Toronto Sun has joined Mammoliti, with the right-wing tabloid stepping up its absurd rhetoric claiming there is a “war on the car,” echoing the days when Rob Ford was mayor of Toronto. According to Toronto police, some 20 cyclists and pedestrians have already died on Toronto’s streets this year. 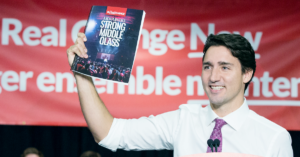 But a new study published by the Organization for Economic Co-operation and Development (OECD) suggests many low-income Canadians will never become middle-income earners, no matter how hard they work.